The text of the agreement is available here. 1. Adopt and make progress towards the goal of a Net Zero Emissions Economy by 2050, with a particular focus on policy development and initiatives in transport and urban form, energy and primary industries in accordance with milestones to be set by an independent Climate Commission and with a focus on establishing Just Transitions for exposed regions and industries. 2. Reduce congestion and carbon emissions by substantially increasing investment in safe walking and cycling, frequent and aﬀordable passenger transport, rail, and sea freight. a. Investigate a Green transport Card as part of work to reduce the cost of public transport, prioritising people in low income households and people on a beneﬁt. c. Auckland’s East-West motorway link will not proceed as currently proposed. d. Work will begin on light rail from the city to the airport in Auckland. e. Safe cycling and walking, especially around schools, will be a transport priority. 3. Request the Climate Commission to plan the transition to 100% renewable electricity by 2035 (which includes geothermal) in a normal hydrological year. a. Solar panels on schools will be investigated as part of this goal. 5. Provide assistance to the agricultural sector to reduce biological emissions, improve water quality, and shift to more diverse and sustainable land use including more forestry. 6. Safeguard our indigenous biodiversity by reducing the extinction risk for 3,000 threatened plant and wildlife species, signiﬁcantly increasing conservation funding, increasing predator control and protecting their habitats. a. Budget provision will be made for signiﬁcantly increasing the Department of Conservation’s funding.7. Improve water quality and prioritise achieving healthy rivers, lakes and aquifers with stronger regulatory instruments, funding for freshwater enhancement and winding down Government support for irrigation. 8. Safeguard the healthy functioning of marine ecosystems and promote abundant ﬁsheries. Use best endeavours and work alongside Māori to establish the Kermadec/ Rangitāhua Ocean Sanctuary and look to establish a Taranaki blue whale sanctuary. 9. Commit to minimising waste to landﬁll with signiﬁcant reductions in all waste classes by 2020.
a. Safe sleeping environment devices will be made available for vulnerable families. 11. Ensure that every child with special needs and learning diﬃculties can participate fully in school life. 12. Eliminate the gender pay gap within the core public sector with substantial progress within this Parliamentary term, and work to ensure the wider public sector and private sector is on a similar pathway. 13. Aim to end energy poverty in New Zealand and ensure that every New Zealander has a warm, dry, secure home, whether they rent or own. a. Budget provision will be made to substantially increase the number of homes insulated. 14. Deliver innovative home ownership models within the State and broader community housing programme. a. A Rent to Own scheme or similar progressive ownership models will be developed as part of Labour’s Kiwibuild programme. 15. Make tertiary education more aﬀordable or students and reduce the number of students living in ﬁnancial hardship. 16. Ensure everyone has access to timely and high quality mental health services, including free counselling for those under 25 years.17. 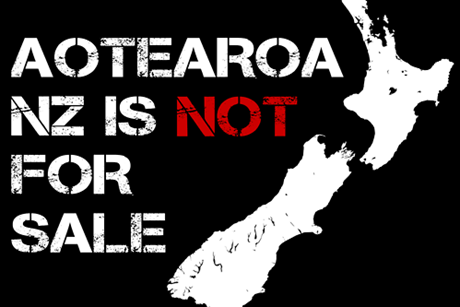 Honour te Tiriti o Waitangi as the country’s founding document. 18. Review, and adequately fund and support, the family re-uniﬁcation scheme for refugees. 19. Increase funding for alcohol and drug addiction services and ensure drug use is treated as a health issue, and have a referendum on legalising the personal use of cannabis at, or by, the 2020 general election. 20. 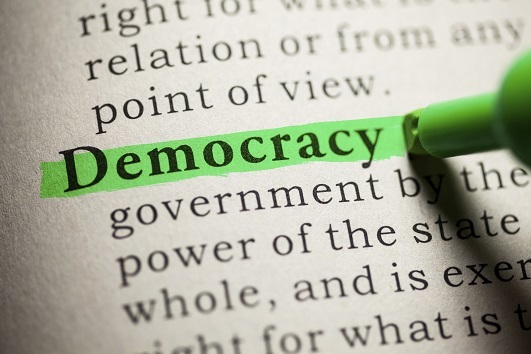 Strengthen New Zealand’s democracy by increasing public participation, openness, and transparency around oﬃcial information. Green Party Members of Parliament will hold the following Ministerial positions: Climate Change, Associate Finance, Conservation, Women, Land Information New Zealand, Associate Environment, Statistics, Associate Transport, Associate Health and an Undersecretary to the Minister of Justice(Domestic and Sexual Violence). East West motorway is toast. Great stuff. Wow oh wow! Both press conferences were outstanding. Jacinda looks and speaks as though she has been in the job for years. She was born to be PM. James Shaw spoke eloquently and the consensus and respect he and Jacinda have for each other comes through loud and clear. It feels real now. This country is going to change. Once again we will become the envy of the rest of the world. I am proud to be a part of this. A wonderful day, and it is full of promise for those suffering at the sharp end of things. Very fair considering the size of the vote and essentially a progressive document. I feel that this Government will make some positive gains for the majority of New Zealanders not just the well-to-do. Awesome list. We have challenges and we will not shirk from them. We wanted this government so let’s commit to the mahi, to the kaupapa and to the people. No tail wagging the dog but an impression to be made. It’s funny isn’t it because a tail can never wag the dog. I used to have a Newfoundland dog and his tail could destroy anything on the coffee table when it wagged lol. … a tail can never wag the dog. Funny example cos that boxer is docked. So no Phil I still don’t honk that tail wagged that dog. Lol – yeah really miss my dog and he’s been dead 15 years. Where was the so called transparency re Labour on the TPP11 pre election? This will amount to little more than “Green Look” window dressing if that thing is ratified. Even Trump walked away from it for God’s sake. Can’t fault that. Great work. I agree with everything except the trams which are expensive, noisy, dangerous and outdated. They should talk with someone doing future studies about the superior alternatives around the corner which will be quicker to finish too. Electric busses (battery) are probably a better option than trams or light rail. No need for additional infrastructure and more adaptable to conditions. Almost certainly a cheaper option with fewer drawbacks. Rail should be reserved for efficient bulk transport of goods, and long range transport of passengers. These are amazing. Way more than I’d hoped. And must say, Winston was most respectful to J’s position as PM and coalition partner. I’m feeling more buoyed this day. Yes, Winston continues to exceed my expectations. The trade deal with Russia, the re-establishment of the New Zealand Forestry Service and the banning of foreign ownership – brilliant. We are no longer a country for sale. It’s a good move. God knows I don’t like Putin but selling him butter and apples doesn’t endanger his neighbours. What’s the policy intent of the Zero Carbon Act? Is it to set up a set of carbon-focussed regulations? Taxes? Improved trading system? Afaik it would legally bind the govt of the day to adhere to a plan to reduce carbon emissions to net zero by 2050. I’m guessing the CC Commission would central to the writing of the plan. I feel very proud to read this. It holds out hope for a better country for our kids and grandkids. I am now thinking of ways to get involved to support it happening. It will need all shoulders to the wheel given the toxicity of the opposition. I like the suggestion made on this blog recently for positive group action, workshops etc. And will be watching for developments. I agree. The new government is off to a great start. Of course, not everyone wishes it well – such as the sulking, vindictive bastards on the opposition benches. And yet tonight the trolly cables are still coming down in Wellington. Battery powered electric busses would be better. Trams are past their time, really.